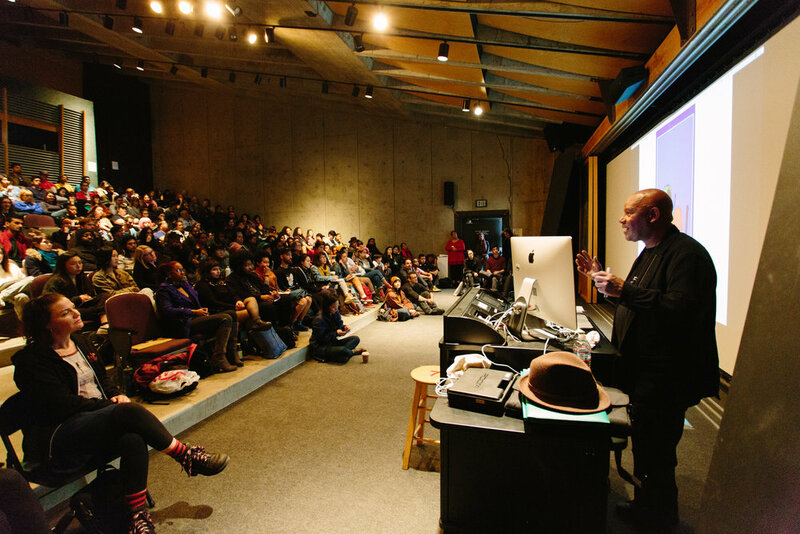 As the Scholar in Residence at the Center for Art and Public Life at California College of the Arts, I have been working with the Students of Color Coalition, Diversity Studies, and Art Practical on a two-year project at the intersection of art and survival. How is art necessary for survival? What do we need to survive as artists? 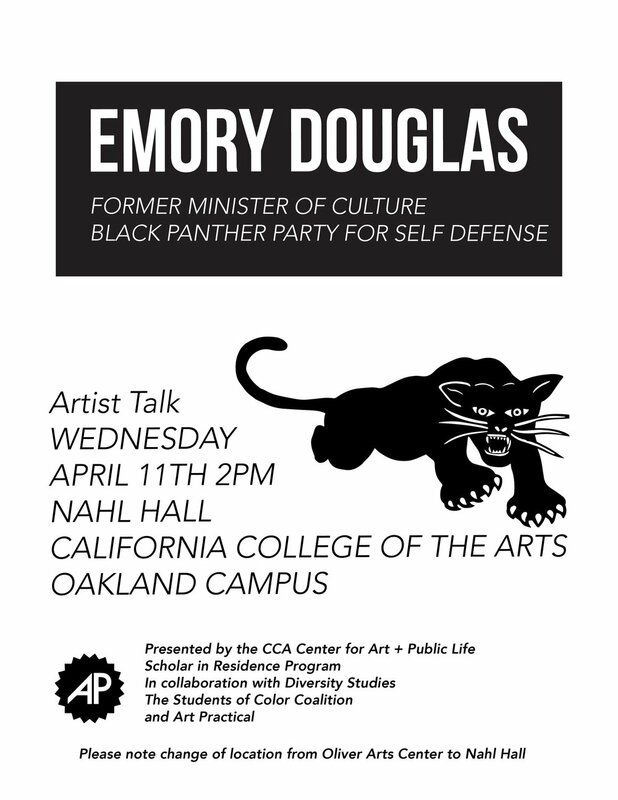 Our inquiry is anchored in the Black Panther Party for Self Defense, their survival programs, the 10-point platform, and how this radical history impacted students at CCA in the formation of Diversity Studies and Black Studies. 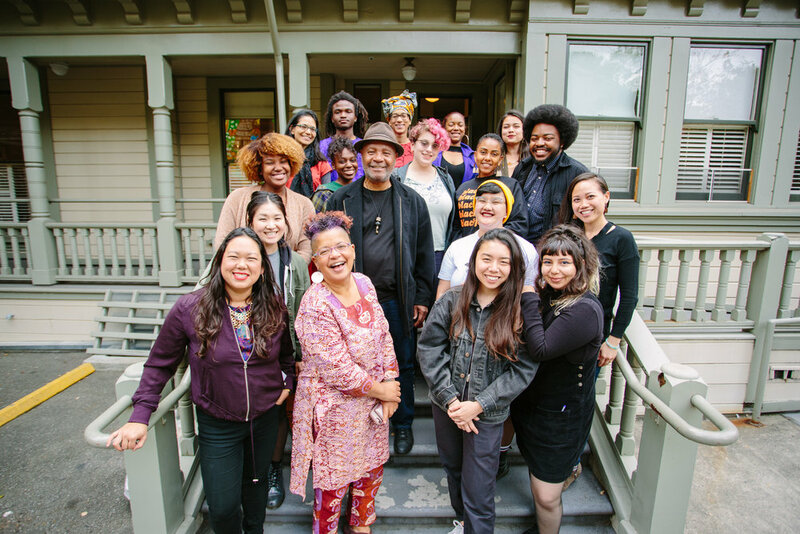 This is an opportunity for students to consider the radical history of the Bay Area in relationship to CCA’s Oakland campus and the needs of students, past and present. It also asks us to question the utility of art, the necessity of art, and how art is bound up with cultural survival. 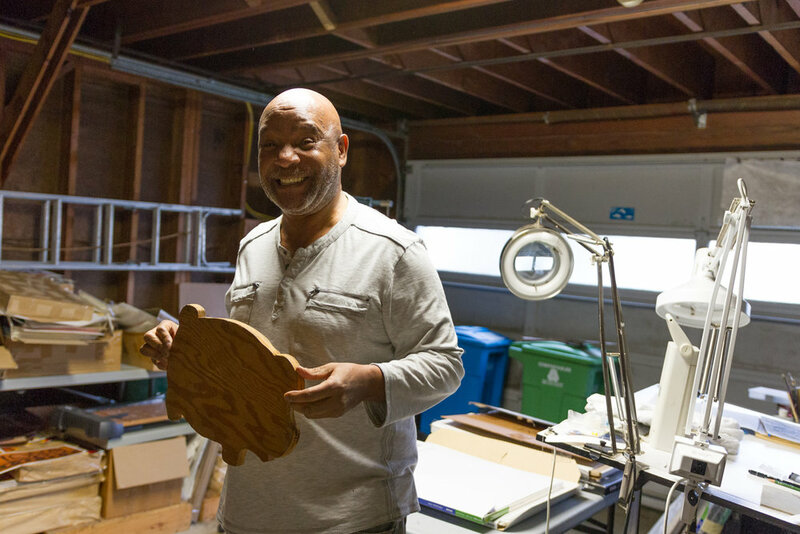 As part of this program we were honored to invite Emory Douglas, former Minister of Culture for the Black Panther Party, for a public talk and a private roundtable discussion with the Students of Color Coalition and facilitated by the People’s Kitchen Collective. The course ART + SURVIVAL was also offered as the Advanced Workshop in Photography in the Spring of 2018. Together, we took a self defense class, fed the hungry, supported evicted elders, created survival playlists, and considered how ideas survive. Video, podcast, and public program forthcoming in 2019.